Greetings everyone! I hope you are all doing phenomenally well! The last few weeks have been incredibly transformational, turbulent and chaotic to say the least for many of you. Much has transpired and continues to. So many sudden changes have occurred in many of our lives, rapidly changing circumstances pushing you onto the right path for your soul. I know that it has been a tough few weeks, but now it seems that we are entering into a much brighter and steadier time frame. On the 29th of September I was out by the beach and saw the most magnificent rainbow portal open up. I tried to take a picture but it was huge and seemed to have been coming from the ocean. It felt that what I was seeing was only part of it and that it was actually surrounding the whole globe! I took a video of it which I’ve shared in a video that you can watch further below. I felt that it was a magnificent portal heralding some exciting changes for us and when asked, I have received the following channeling from Melchizedek and the Company of Heaven. “The beautiful new energies of the new escalating degrees of triangular degree of consciousness is swiftly moving onto the shores of your reality. The new beautiful energies of the momentum are seeking a new home within the DNA structure of your BEing. And as the new energies of the galactic adherence to the unity and oneness finds the outlet through your vessels of time and space, much of the old energies shall shift into the timeline not chosen by the majority of souls who dwell on GAIA. And so, and thus, the energy influx which is underway, is reaching a culmination point through the portal. The portal of shifts and new beginnings. And as such, the old paradigms are being pushed out of the way making room for new understanding of oneness, unity, freedom of thought, freedom of movement and freedom of action. Unified by the ever evolving vortex of love, light and connectedness to that which is. The ever evolving vortex within the highest consciousness of all who dwell on GAIA is uniting each one of you in a rapid chain of events bringing your attention to that which is closest to your hearts, adjusting your Re-action to said events and helping you to realize the true nature of each experience presently unfolding on your shores. For in truth the disagreements you face, the distort that you are preoccupied with, is but an attempt to sway your perception away from reality that exists within the universe in which you dwell. For the reality that exists is far different from that which you are accustomed to seeing, feeling and sensing. And so, new abilities and ways of life are opening right before you, allowing you to fully attune yourselves to the truth of all that is. Allowing you to fully attune yourselves to the true nature of the gifts that you bring with you onto the earthly shores. For the gifts that you bring with you are such, as to appeal to all of humanity. To assist all of humanity in reaching their full potential. Through the understanding of that which they are. For you are here to ignite the passions within each of the hearts that your way shall come and to remind them of their greatness, and their very own lightness of being. For the lightness of being shall be the driving force in the new reality structure, the joy of inner knowing, the peace, harmony and love, regardless of the external stimuli which your vehicles of choice are being immersed in daily. For all is but an illusion spawning from the web of misunderstanding of the true creators of this the universe in which you dwell. For indeed all are adding to the web of creation through the use of their energies, power of thought, power of the spoken word, power of action of their vehicle, for all the energies that are generated by you who dwell on GAIA are utilized by the great mind of the matrix, the “higher computer” if you will, to bring forth the reality structure that you wish to experience. And so, know that the time has come for you to take full and utter responsibility for your thoughts, actions and deeds. For in truth, each of your energies, no matter the level that you perceive them to be are added to the overall mix, are scanned and weighted carefully on the scale of benevolence. And so, it is it through the power of your mind, the internal balance within, the attunement of your heart through which are able to see the truth of any given situation, that you are co-creating a new matrix. And as such, whatever you wish the new matrix to become, is what it shall be. Seek not from without, but from within. Listening to the guiding voice of your very own higher self, seek not from those around you the love of the universe, for the love that you seek is within the very depths of your heart and soul. Know thyself and allow thyself to be that which is you. Allow thyself to be the grand manifestor that indeed you are. Step fully and confidently into your new roles of ascend masters of Unity, Triangular Degree of Consciousness, harmony, balance, and peace. Unity, harmony, balance, peace and love. Unity, harmony, balance, peace, love and unconditional understanding of Self. Much is to come to your shores in the months to come, much recognition of free will and much recognition of all that is, shall finally ignite within your very cells in order to bring you to a complete reverence, realization and understanding, reverence for all that is, and unconditional love for that which is you. Whilst we stand by you ready to assist you in all that you are, ready to bring forth the brilliance of that which you bring onto this world, know thy selves dear ones, and allow thy selves to be true to that which thy are. Welcome to the new infinite reality of the living matrix of love, light, harmony, balance, bliss and peace. If you need any personal assistance via a healing session, you can reach out to me at www.SacredAscensionMerkaba.com to set up a distant healing session with me. 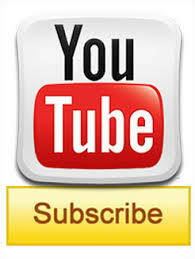 I also invite you to visit my blog for more information to help you on your journey. COMPREHENSIVE ENERGY HEALING SESSION & ANALYSIS WITH ANNA MERKABA :This is a DISTANT Healing Session. Each session takes 60 – 90 minutes to complete, furthermore much more time is spent on putting together a report which is guided to me by the angels, there are a lot of details involved, this is an elaborate healing session. This is not just an energy attunement you will be bathed in loving light from the angelic realm using reiki like universal energy throughout the session, and a few days following the session, many issues will be corrected, and you will also receive much needed guidance after the session of what you are to do on your own. The energy will continue to be released for the following 2 – 3 months. Cleansing the blocks within the organs should there be any, and if it is possible to do so, or if there is more that needs to be done. Past Life Contracts Clearing/Cords cutting (if I am allowed to proceed by your higher self) This is NOT karma removal. NO ONE can remove your karma, except for you, that is if you have karma. Not everyone does, as people misunderstand what Karma is. You will also receive further recommendations on what you are to do on your own to SEAL in the new energies flowing your way and to assist your own self further without the constant need to come back for more and more healing sessions. However, should you feel that you do need a healing attunement, or there are some issue that need more work you are welcome to come back for another session. Please note: The author of this website and its assigns are not responsible in any way shape or form for any actions taken by individuals reading these posts. The information provided herein is for information purposes only and does not constitute as any medical advice, whatsoever. Therefore the author and publisher of this site assume NO responsibility for any individuals’ interpretation or use of the information provided herein. The beautiful new energies of the new escalating degrees of triangular degree of consciousness is swiftly moving onto the shores of your reality. The new beautiful energies of the momentum are seeking a new home within the DNA structure of your BEing. And as the new energies of the galactic adherence to the unity and oneness finds the outlet through your vessels of time and space, much of the old energies shall shift into the timeline not chosen by the majority of souls who dwell on GAIA. And so, and thus, the energy influx which is underway, is reaching a culmination point through the portal. The portal of shifts and new beginnings. And as such, the old paradigms are being pushed out of the way making room for new understanding of oneness, unity, freedom of thought, freedom of movement and freedom of action. Unified by the ever evolving vortex of love, light and connectedness to that which is. Reblogged this on A Unity Consciousness World. I loved this. It was very uplifting for me. I feel a session with you would be amazing. I’m not sure if it’s a karmic loop, but I keep ending up back where I started. This has been happening since 2011. In 2012 I had a Past Life Regression, which revealed many things and my life seemed to be getting on track. I left a relationship that wasn’t nurturing my soul, I met someone who turned out to be a Soul Mate in a previous life at a job I had. Nothing romantic happened with the Soul Mate, but I keep returning to where we worked together (he is no longer there, but his family owns the business). I quit the job and somehow end up being guided back 4 times. I returned to the unhealthy relationship and now feel stuck in some weird cycle. Both individuals were part of the same Past Life and I just feel there’s got to be an answer to why this is happening. It’s almost like my “free will” is distorted by “have too’s”. It has been 5 years and of course many other events have taken place. I was guided to become a Reiki Practitioner. I obtained my Certification as a Holistic Wellness Practitioner, Certified Clinical Hypnotherapist and Life Coach, yet I can’t seem to take on the role of Entrepreneur. I’m really not understanding what my true Life Purpose is and yet I offer to help others find theirs. That’s because, I originally thought I had found mine. Wow, sorry so long! P.S. I actually began on 3rd October, after being called to do so, and finished on10th. After I said my last Prayer and turned off the camera, a faint rainbow appeared across Derwent Water in front of me. It was a beautiful end to a very special mission. Portal of New Beginnings – Melchizedek &The Company of Heaven | Never GIVE UP on your DREAM! 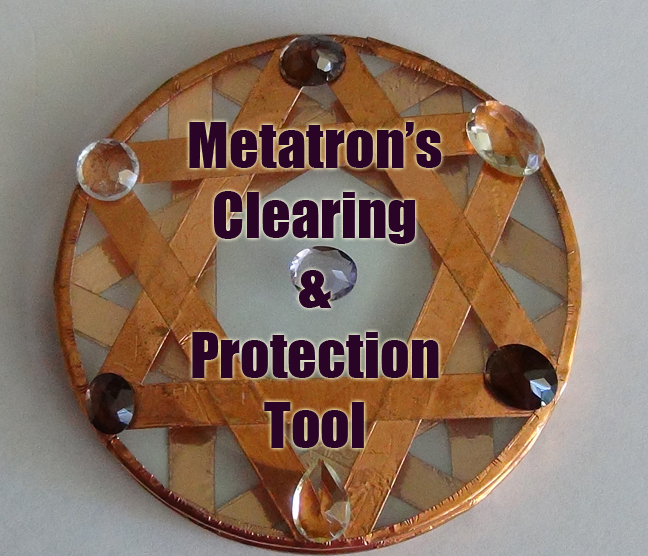 AA Meatron KEY - Healing, Protection, Illumination, Activation, Action. Happy Holidays & Happy New Year – 2017 a Year of Opportunity, Abundance and Love! Are you a Walk-in Soul? "Anna is an amazingly talented psychic and channeler. She did a reading for me, relating the details of several of my past lives, and I was absolutely astounded. Even if I were a little bit skeptical, I have to admit that the picture she painted described the deepest parts of me perfectly – from my grandest dreams to my deepest fears, shedding light on things that were bewildering. She brought closure to some of the most burning questions of my life, allowing for spiritual healing that is beyond any ordinary means. I highly recommend her services for any one who has questions about their current or past lives." – David. 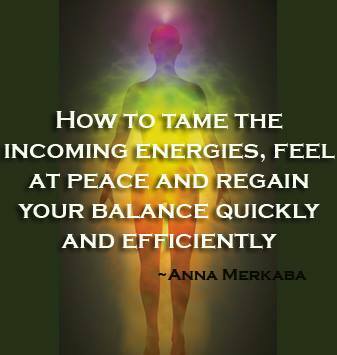 "Anna Merkaba is an amaze-sing gifted healer. When this 'attack' on me happened EYE knew this was a job for her. She did the healing session last night while EYE was sleeping. The author of this website and its assigns are not responsible in any way shape or form for any actions taken by individuals reading these posts. The information provided herein is for information purposes only and does not constitute as any medical advice, whatsoever. Therefore the author and publisher of this site assume NO responsibility for any individuals' interpretation or use of the information provided herein.